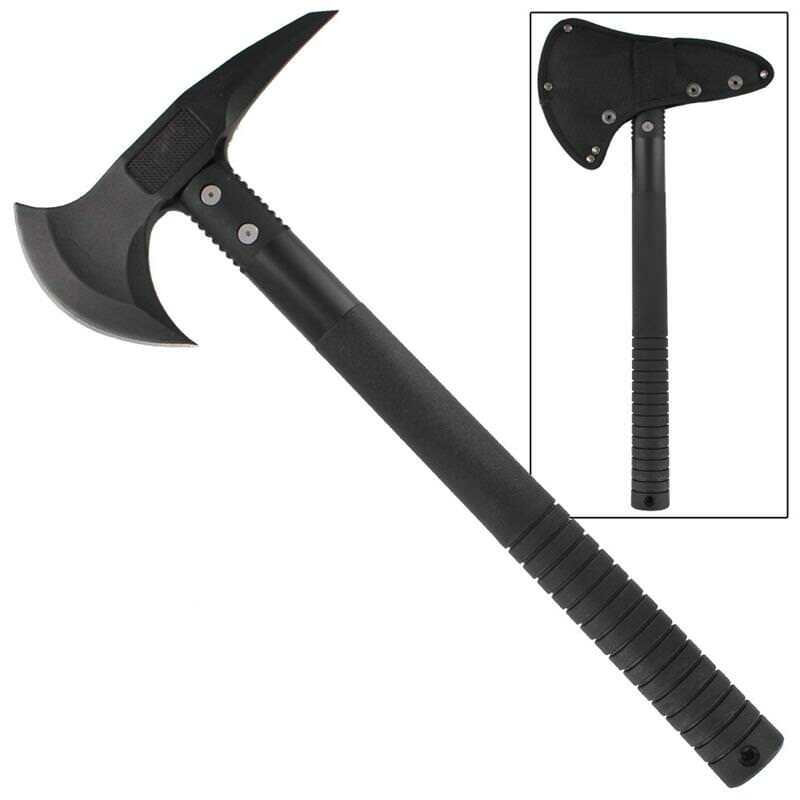 This axe is constructed with a stainless steel head featuring a black finish to help protect and prolong the life of the blade against corrosion and rust. The removable and interchangeable head is secured by star head screws. The handle is made of an ABS material with and ribbed for a more secure grip in all weather conditions. A lanyard hole is featured at the end of the handle to tie this blade to your pack when hiking or climbing. In the center between the pick and blade on both sides is a rough patch for grinding and hammering such items as nails or tent spikes. 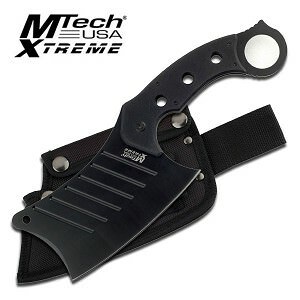 Included is a nylon sheath with belt loop.